Although the Call of Duty XP 2016 event all around The Forum this weekend was set on promoting the upcoming Call of Duty: Infinite Warfare, there were also a series of panels for the fans that wanted to know more about a particular aspect of the Call of Duty universe. One such panel wasn’t about the game specifically however, but instead about one of the development studios that was formed specifically to work on the franchise. 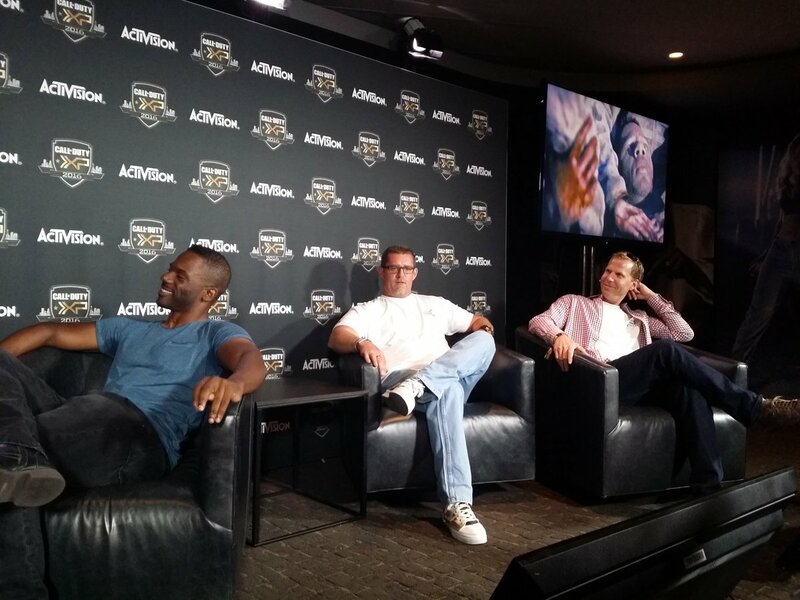 The panel titled Sledgehammer Games – The Seven Year Journey was moderated by Russell Richardson (the actor who played Cormack in Call of Duty: Advanced Warfare), and attended by Co-Founders of the studio Michael Condrey and Glen Schofield. The panel was introduced by the energetic Russell, who showed his favourite clip from Advanced Warfare – the introduction section early on when his character Cormack is yelling orders at the squad of soldiers. Michael and Glen then humorously showed their favourite part – the cutscene where Cormack is mortally wounded. Glen joked that this death scene needed 53 takes. Russell then talked about how much the Call of Duty XP event really reflects the dominance that the franchise has achieved in the entertainment medium, and has grown so big as to host its own event for a second time. Glen agreed, saying COD XP is great for fans. When he attended the first XP back in 2011, he wasn’t sure what to expect but it turned out to be great, and this year’s event is even better. Michael also agreed – not only was the original XP a first-time experience, it was also the showcase when their very first game, Call of Duty: Modern Warfare 3, made its debut for the attendees. Glen reflected back on their time developing the first game at Sledgehammer. They have just wrapped up Dead Space, but then decided to form Sledgehammer Games in July 2009, and were working on another third person action adventure project. They had planned to set the game in the Vietnam era, and were planning to use the lessons learned from Dead Space – utilizing underground sections, jungles, and so on. 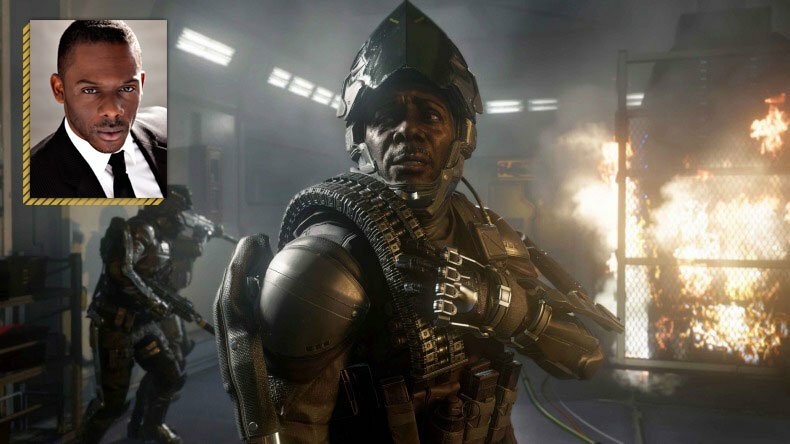 The project was pitched to Activision, but eventually the studio was invited to work on the next Call of Duty in a more traditional capacity. 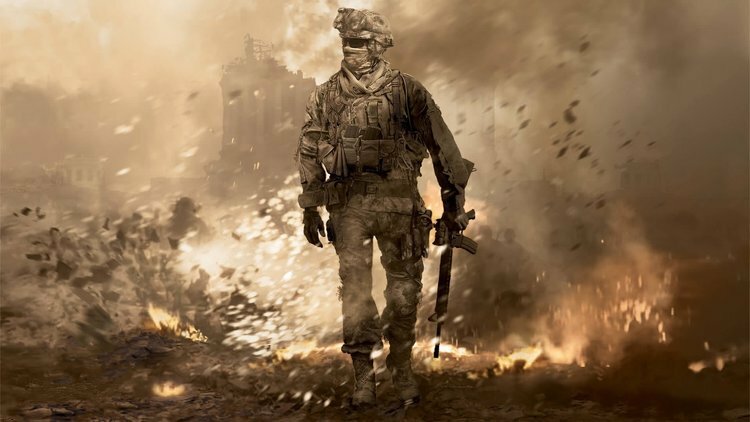 The founders put this project to a vote within the studio, and though it wasn’t unanimous, it passed and they worked with Infinity Ward on Modern Warfare 3. For Michael, it was a very hard decision to accept the Modern Warfare 3 assignment. Having to work with a large publisher like Activision, and to create the next chapter of a game that’s so hugely popular felt like a daunting task. But, if you aspire to be at the top of your craft, these are exactly the sort of opportunities you can’t let pass by. It is challenging, but also rewarding. It was difficult to leave behind some of their original ideas, but this was clearly the way forward for the studio, and a way to attract more fans to their work than ever before. After completing Dead Space and its DLC, Glen was promoted to studio head and was involved with giving Visceral Games its name. But when the chance came to work on Call of Duty, it was an opportunity they could not pass up. Activision allowed Sledgehammer to remain an independent, wholly owned subsidiary. Glen recalls asking what PCs they would get at the studio – and the answer was anything they want. Nothing was dictated by Activision, and the two founders really appreciated this; they could create a studio with developers in mind. But Sledgehammer were not always the 250+ staffed, 2-floor studio that they are now. At the beginning, it was just Glen and Michael. On the first day, they sat in the car outside of the studio and pondered if they’ve made the right decision. 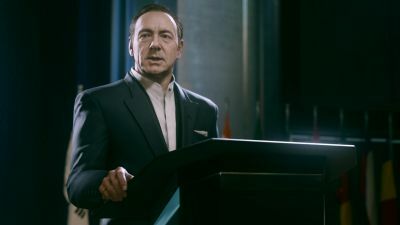 Luckily, given the opportunity to create their own studio culture, and with COD and Activision brand names behind them, other people wanted to be a part of the new studio. The pair has worked on big releases before, but taking on Call of Duty really felt like a big step, a chance to really showcase their skills. In the end, Michael was happy with how Modern Warfare 3 tuned out. But even at that time, they spent a lot of time listening to fans, looking for feedback and reactions. There was a clear ask from the players to bring innovation to the franchise. That led the studio to explore what would eventually become Advanced Warfare; the near-future setting, new player movement, loot, and so forth. They wanted to bring in new features without alienating the lifelong fans. Glen believes that Call of Duty comes with a set of unwritten rules – the game has to be realistic, believable in its setting. 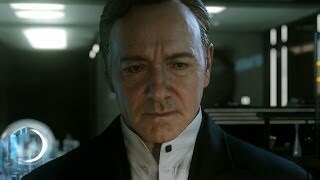 So when they set out to work on Advanced Warfare, there was a goal to have at least some working theory behind every mechanic, whether based on research papers or confirmed technological developments. They wanted the tech to be based on something that had an existence in the real world – they didn’t want to magically beam people across space. They visited NASA, military bases, and did a lot of research. 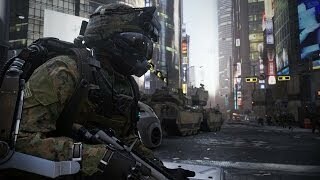 Michael recalled that Advanced Warfare also marked the big shift to next generation of consoles. 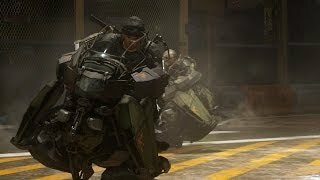 They wanted to unleash the new tech together with their fresh ideas, and were the first of the Call of Duty dev teams to really get a full development cycle on these new consoles. Coincidentally, MW3 came out in the same year as the movie Avatar, which featured some impressive tech work for its time. It was crazy to think that when Advanced Warfare was being made, they had access to that same tech. A quick custom video was then played for the attendees, showing Russell’s character describe the technical features of AW; this video was also shown in private sessions at E3 before the game’s release. Glen talked a bit about the philosophies at Sledgehammer. When hiring, they look for staff that are in the top 5% skill bracket within the industry. But it is also extremely important that everyone can work together and be collaborative, and the studio has no walls between work spaces to promote this. They also must be passionate about creating games. Michael talked a bit about how the studio name came about. They discussed a variety of different names, trying to define what the studio statement will be. The infrequently used original slogan for Sledgehammer Games was “Make an impact”. This translated into three goals – make impact on software, make impact with fans (aspire to be a top 5 studio, comparable to Naughty Dog or Valve), and make an impact on developers (the studio must provide support and lifestyle balance). Eventually, these talks led to the Sledgehammer name. Glen joked that the two founders are also about as subtle as a sledgehammer. The two co-founders have known each other for almost 15 years, and worked on projects like Dead Space and James Bond 007: From Russia with Love. It has been a bit like a marriage, and they’ve also been together for too long, Glen joked. They believe that they are very effective at bouncing ideas off each other and addressing different points of view when the situation calls for it. They push each other out of the comfort zone, and communication is always important. Glen is the sledge, Michael is the hammer, they joked. When it comes to getting inspired, Glen says he is always on the lookout for new ideas. Just the other day, he heard a sound – and somehow that later turned into a game mechanic prototype. He could not elaborate. Glen plays lots of games, has 17k photos on his phone, and watches a lot of movies. Michael meanwhile is all about the current second golden age of TV, from Game of Thrones to Homeland. He is extremely inspired by Pixar – not just by the quality of their work, but also how well the studio is run and able to produce award winning hits consistently. They try to be very hands-on as well, which helps with inspiration. Glen says they have seen a lot of crazy things over the years. They’ve been to many military bases, talked to experts, ex and current marines and Navy Seals. They once went on a rather wild helicopter ride without much preparation, and it wasn’t exactly a friendly and safe Disneyland ride where you strap in and go. When it was time to produce the Golden Gate Bridge explosion in Advanced Warfare, they consulted an actual bridge inspector on what would be needed to bring the real thing down, and re-created that in the game. There was also opportunity to work with some great Hollywood talent over the years. Idris Elba, Timothy Olyphant, Sean Connery, Christopher Walken, and of course Kevin Spacey. Michael noted that they’ve planned their collaboration with Kevin long before his recent resurgence with House of Cards. He was always a great person on set, and very funny but able to slip back into character quickly. Russell pointed out that having Kevin on set elevated the performance of everyone else, as they tried to learn as much as possible from the man. Michael recalled a story of when one day they were short an extra, so he jumped into a suit and acted in a scene opposite Kevin. In this scene, Kevin’s character yelled at him, and there was no acting required for Michael to be afraid of Kevin’s character performance. Glen recalls when he first showed Kevin Spacey how his early render will look like in the game. Kevin had quite an excited reaction, pulling anyone around him to come see this image. It looked very real to him. Russell had a similar experience – one of the first publically released renders featured his character, and he was taken aback by how much fans were excited and also analytical of the images, judging and finding every little detail of his face and suit. Russell’s mother thought it was a real photograph of him. Glen has noticed a change in the industry now, with more actors being open to lending their time and talent to games. Following the panel, there was time for questions. Time and again, a few fans wasted everyone’s time by asking for specifics about the next game from Sledgehammer, that they obviously could not talk about for the fear of being tackled by disguised PR people in the audience. Michael did say that they’ve been active lately – they are growing the studio, both physically and in number of staff, and are excited for what’s to come in the future. Another question inquired about what the duo thought about EA’s handling of the Dead Space franchise. Glen said that the sequels did the original justice, but he wasn’t a huge fan of Clark’s suit evolution – he was supposed to be an engineer, not a Transformer. In the end, the co-founders reminded everyone that there is a great and passionate team behind them, and that is what allows them to be successful. Following the panel, the co-founders spent a lot of time with the attendees (many of whom included current Sledgehammer employees), signing shirts and hats, and answering questions. Disclaimer: Activision has covered travel and hotel costs for New Game Network to attend and cover Call of Duty XP 2016. Call of Duty: Advanced Warfare (PC) is ranked #1127 out of 1435 total reviewed games. It is ranked #110 out of 152 games reviewed in 2014.